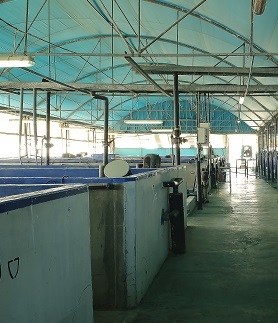 During the year 2007 we established a medium sized indoor system designed to support the market demand for small sized, healthy and good looking koi. The hard work of a dedicated small team enabled us to develop a reliable protocol for the production of beautiful tough fish. 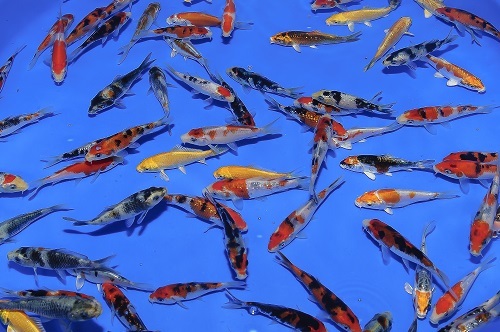 Our focus and strength lies in small koi (up to 4"). We do not sort out the very nice fish for further growth hence our customers get top quality individuals, not available elsewhere in that price. A value for money deal second to none. 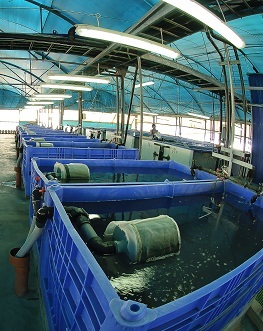 Currently, this facility has three separate recirculated water modules. The health standard of our SBS koi (Special Bio Secure) is supervised by the in-house health lab of MadanKoi (Dr. Ashoulin and his technicians). A State of the art Ozone disinfection system supports the meticulous health management. 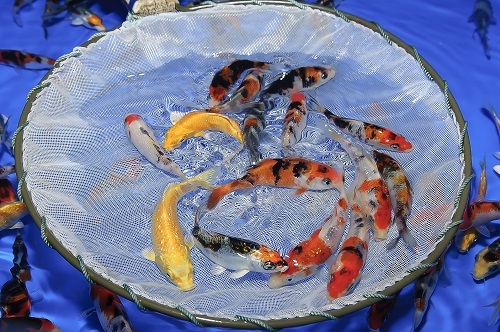 We also have the ability to grow SBS koi in bigger sizes upon a customer's demand and subjected to early planning.